Present and find your Open Educational Resources (OER), MOOCs and other educational offerings of your organization. Distribute specially licensed media to your target audience to be used in their e-learning systems. With edu-sharing, you provide your users with an easy to use portal with learning content and educational offers. Clearly structured editorial collections and a search engine make sure that searching becomes finding. This leaves more time for the essentials: teaching. The edu-sharing repository offers its users a one-field search as well as a configurable, advanced facet search function. Here you can use the fields of our easily customizable metadata catalogs as search criteria. The search always remains efficient - regardless of whether there are 10 or 10000 catalog values per criterion. 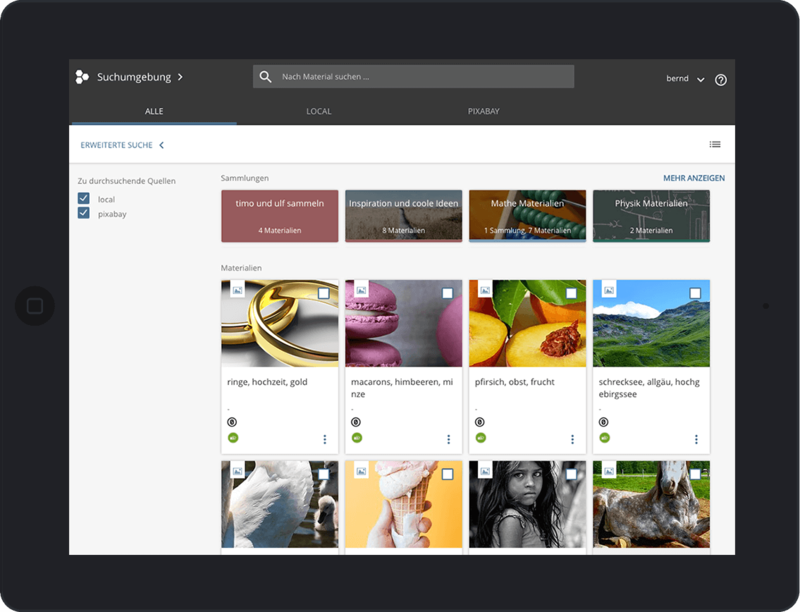 With the help of search options such as school type, subject, age group or topic, your users will quickly find the perfect content for their course. edu-sharing offers its editors the perfect space for the cooperative management and quality assurance of their offerings. Interfaces such as WebDAV and OAI-PMH facilitate the delivery of new content. An important criterion for the findability of content is the provision of metadata. Unfortunately, entering this information is one of the least popular tasks in capturing content. That's why our open source e-learning repository offers features like configurable metadata inheritance. Another challenge in providing free learning content is licensing. Again, edu-sharing supports its users. 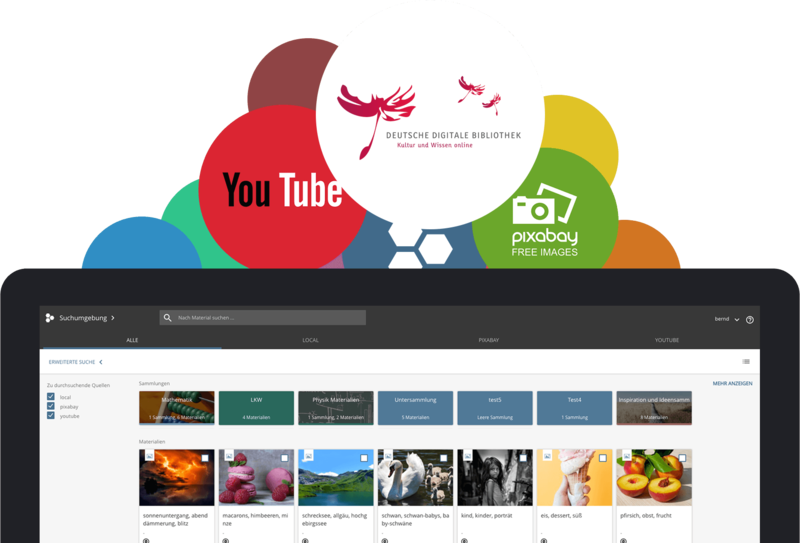 Our license editor facilitates the use of the Creative Commons license system with automatically correct attribution in all connected systems. Thanks to the edu-sharing plug-in technology, the edu-sharing OER search can be integrated in the content picker of your learning environment and as a function of the text editor. 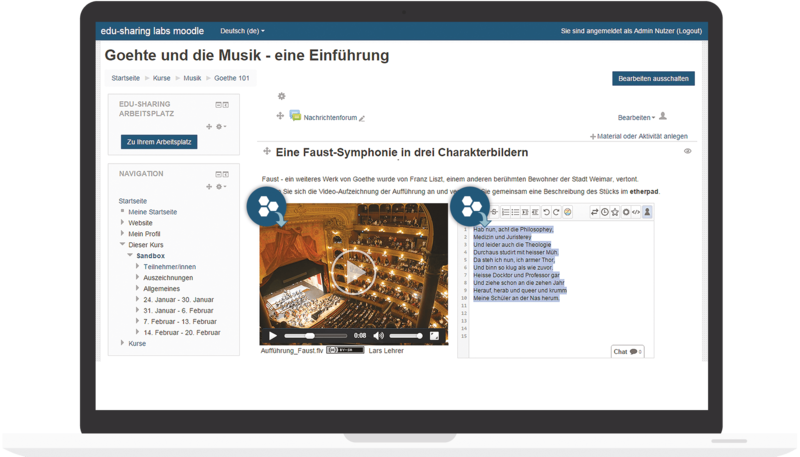 Content such as videos, audio, and tools, such as Etherpad, are either linked to the course as a resource or embedded in the text. The implementation of an OER offer is a complex task in which we would like to support you. Benefit from the experience of our partners so that your wishes become reality more quickly. Our customer service includes strategy consulting, training, customization, hosting and support. 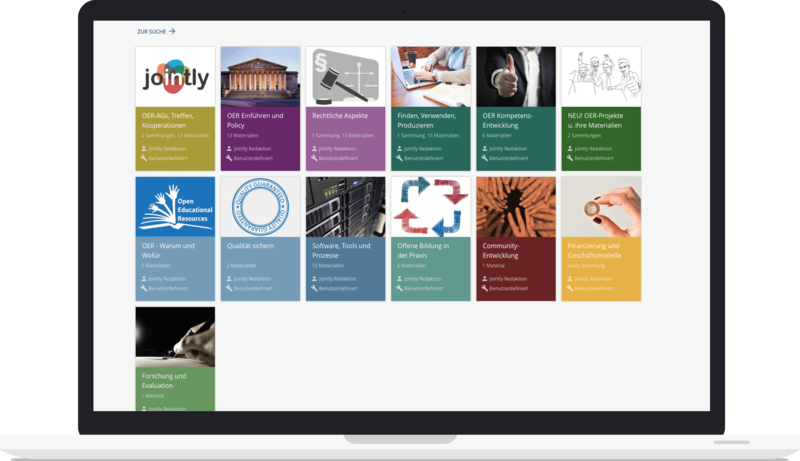 OER, MOOC's or lecture notes - present your educational offers in a clearly structured portal. 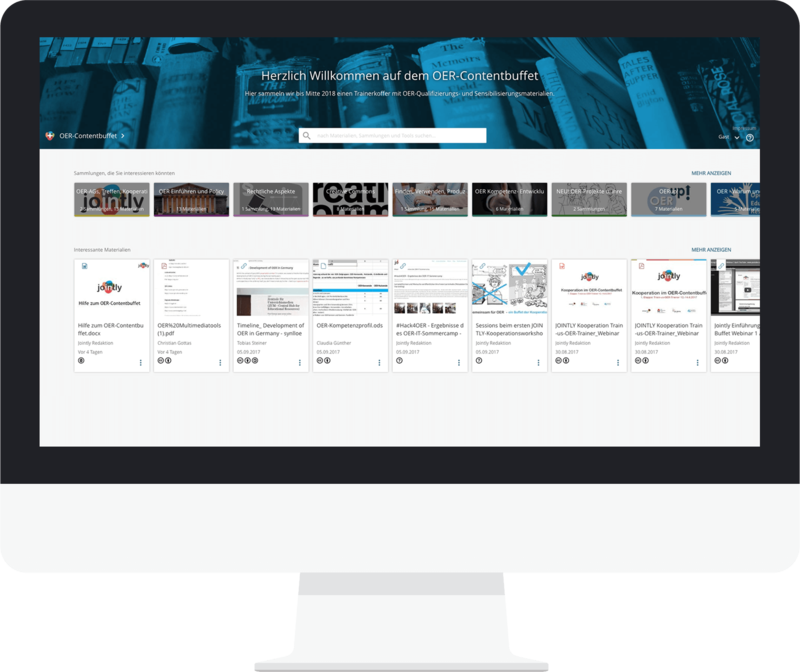 You decide whether edu-sharing becomes a public showcase of your open education offerings or if you would like to use it as an internal e-learning service portal bundling content, software tools and support offers on one page. Design the right starting point for each target group with editorially maintained edu-sharing collections. Determine how content created by your instructors can be added to public or internal home pages after a quality assurance process. Your users create great learning content using the authoring environment or in connected e-learning systems? Promote the publication of free learning content (OER)! 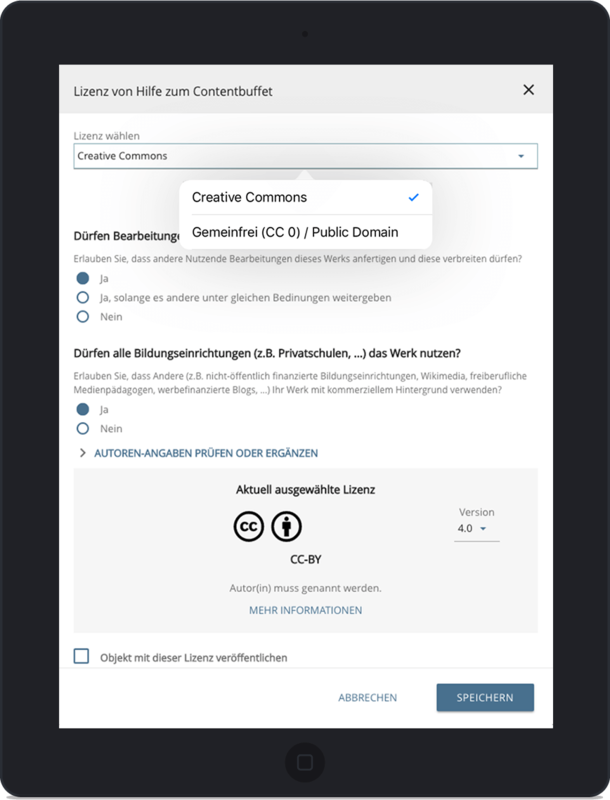 edu-sharing offers a licensing wizard for Creative Commons and QA editorial workflows. 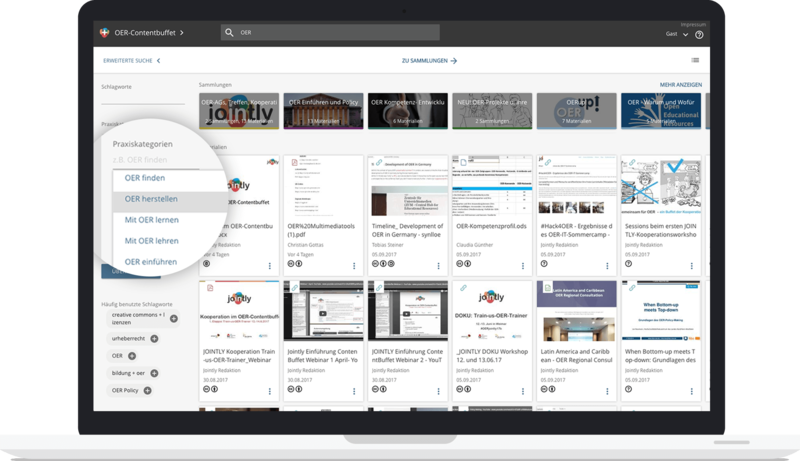 When you bundle the content sources of your organization with edu-sharing, the powerful search helps to find good things quickly. You can easily adjust search criteria (metadata), if necessary for each department. Who can see and use which purchased content and sources? In edu-sharing you may set permissions by means of access rights or licenses. For this purpose groups and organizations (e.g. 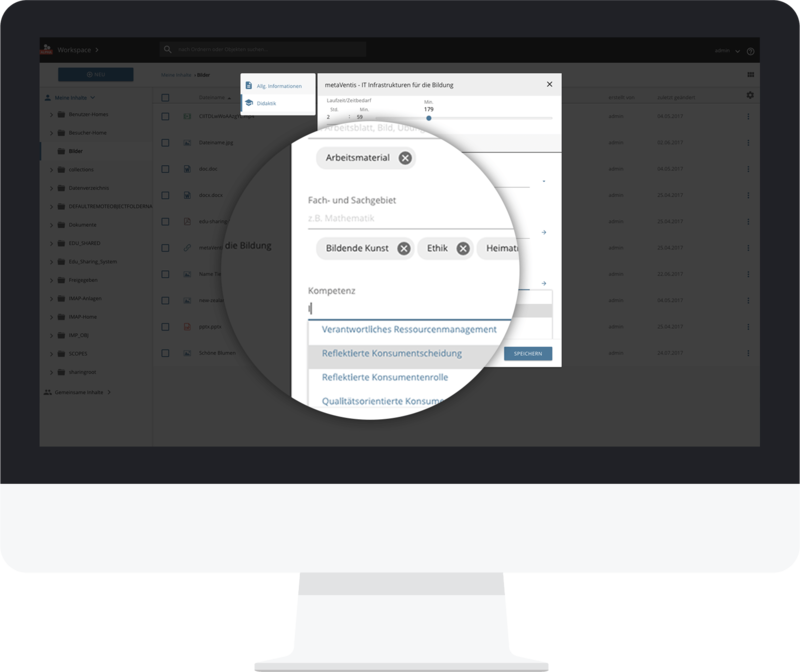 schools, municipalities), associated users and preconfigured rights can automatically be created using external directory services. How often is content used? Where and how is it used - as a download, or embedded in affiliated learning platforms? In the edu-sharing statistics and tracking service you can adjust which user and usage data is collected to be evaluated by you or your customers. 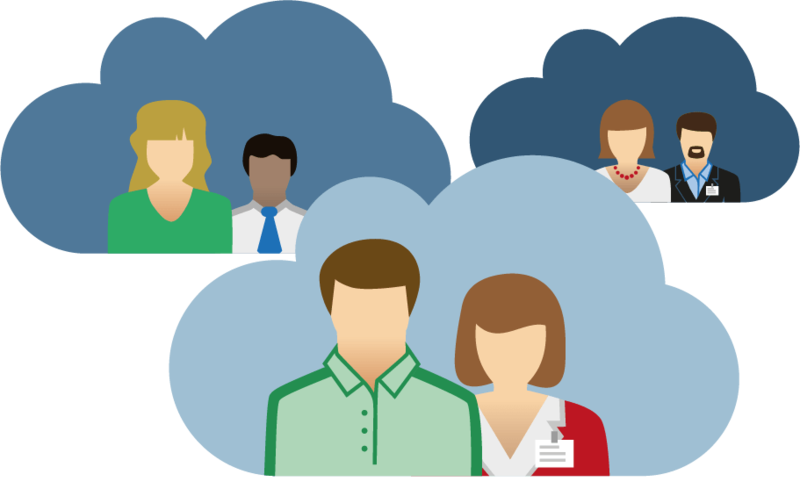 edu-sharing enables the delivery of content and tools to the e-learning systems of your end users. 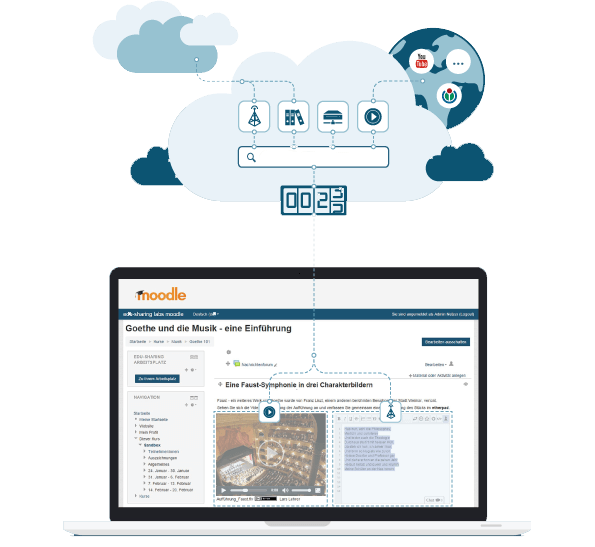 This is made possible by the edu-sharing plugins for learning platforms, such as Moodle, or authoring tools, such as ONLYOFFICE and MediaWiki. When content is embedded in course pages or documents, you can configure how sources and licenses of the content are displayed.